Far Away takes a deep dive into the world where the real and supernatural meld together, delivering an unlikely book for young readers that makes the implausible, plausible. It takes a few pages into the book to understand just what CJ's situation is. She recalls her fifth birthday, and she was wondering if they were going to have birthday cake. Her mom instead insisted that she had something better for CJ. Nothing's better than cake, CJ thought at the time. And when she was told what it was - caraway pudding - CJ was less impressed at first, until her mom told her a story, of why she was named CJ (Caraway June). A bit of background. CJ's Aunt Nic is a psychic who travels from town to town giving readings. CJ's mom passed away when she was born, although her presence is a constant in CJ's life. Hence, the constant conversations with her mom and celebration of birthdays. You'd think that this would be a difficult topic for young readers to grasp, but far from it. It's crafted for the young at heart, while imparting a mature wisdom and outlook. The story mainly focuses on twelve-year-old CJ, who's just about to embark on a big adventure, to reconnect with her mother. 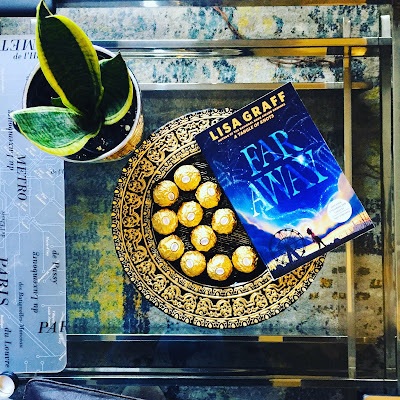 Far Away by Lisa Graff is sweet like pudding, with some bite to it too. It's a refreshing take on a topic that's neither black or white. It makes young readers question their reality. Can we really communicate with the dead? Are spirits capable of guiding us in this world. Do our loved ones still watch over and protect us when they die? Blog Post by Shilpa Raikar, who believes in the power of storytelling to connect readers, and strives for diversity and inclusivity. 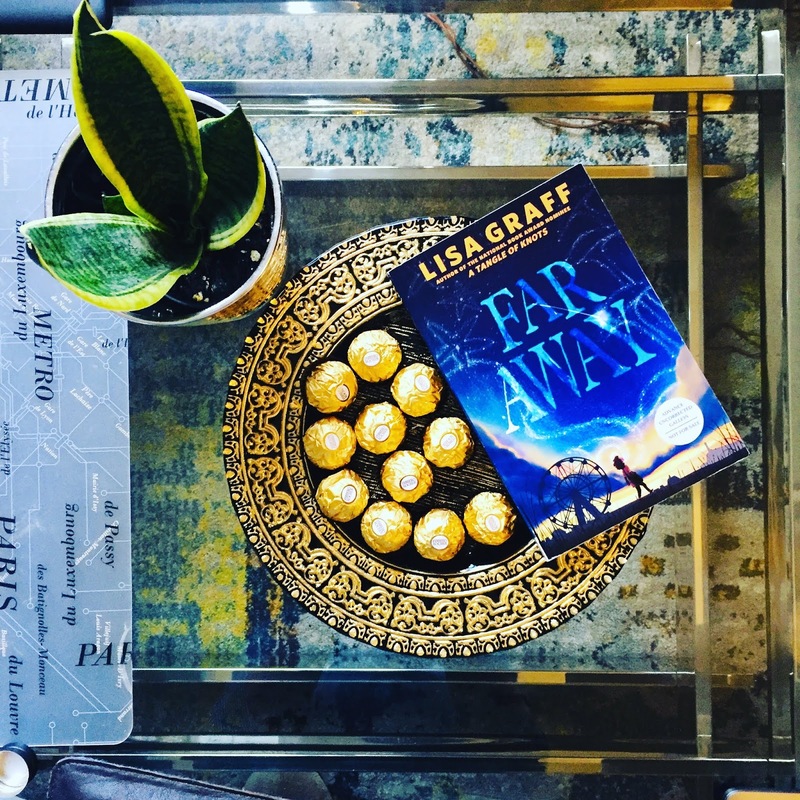 Far Away by Lisa Graff is published by Penguin Random House Canada. Copy provided by publisher.